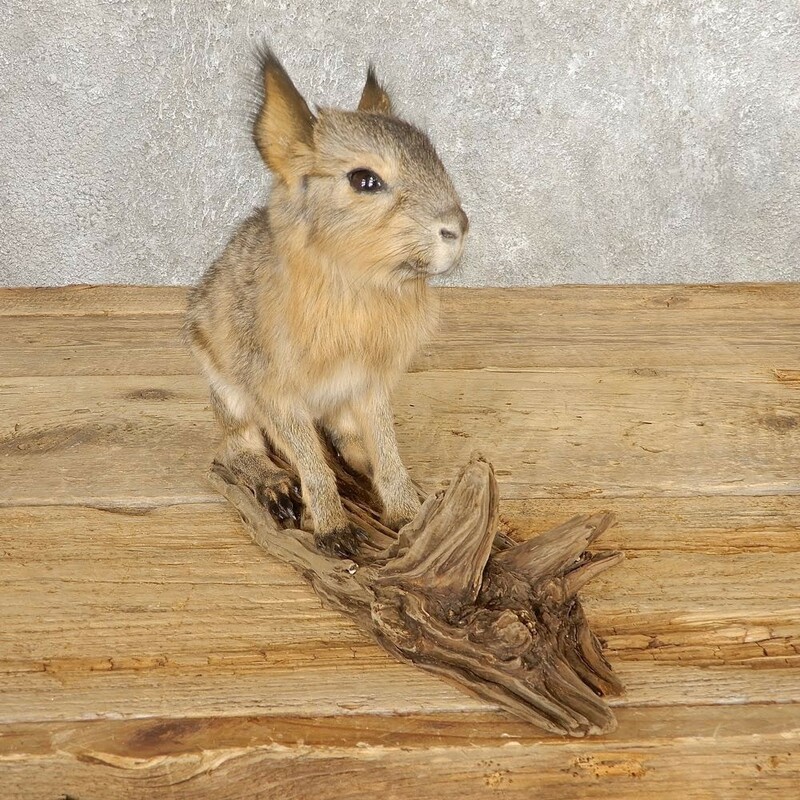 This is a phenomenal juvenile Patagonian cavy life-size taxidermy mount for sale. 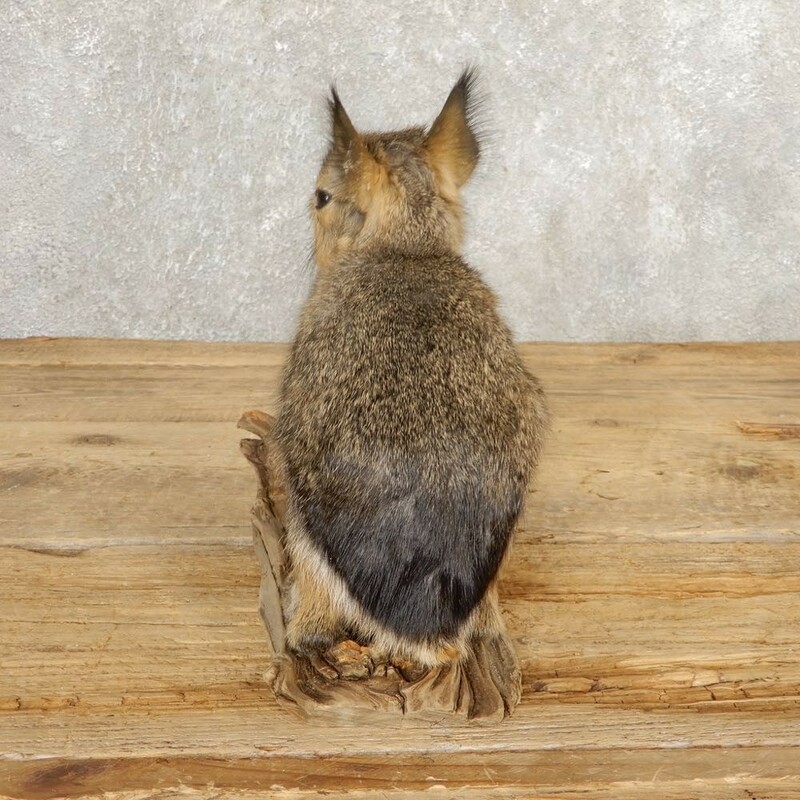 The taxidermy craftsmanship is wonderful and features soft fur as well as great attention to detail. 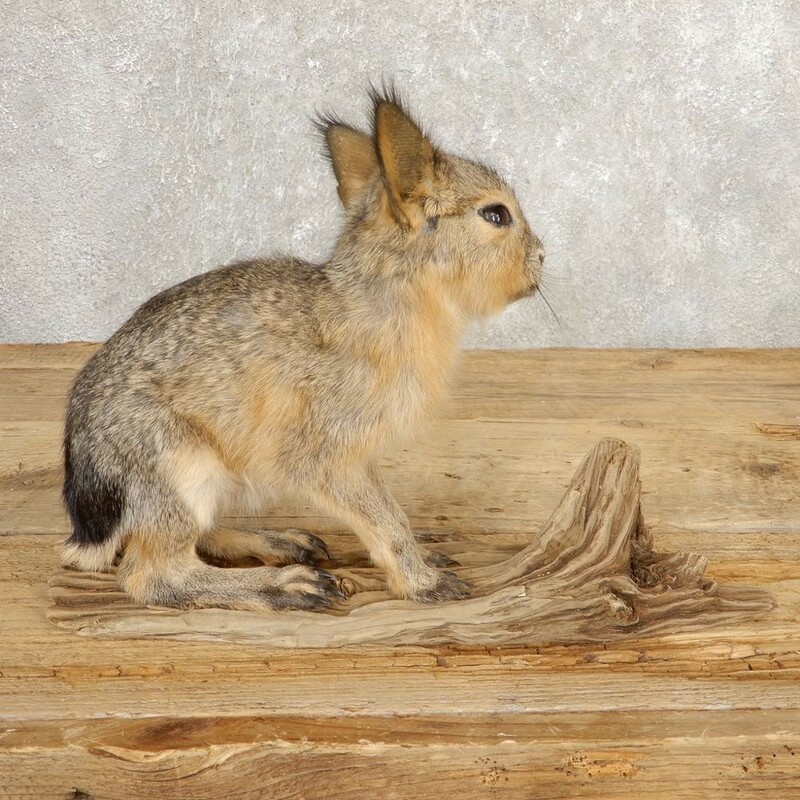 This life-size taxidermy mount would work great for any collector or museum diorama. 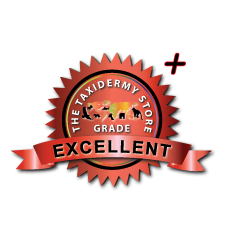 All of these features combined to earn this item earn our Excellent Plus™ overall quality rating. All applicable dimensions are included to help ensure this item will fit within your intended display space. 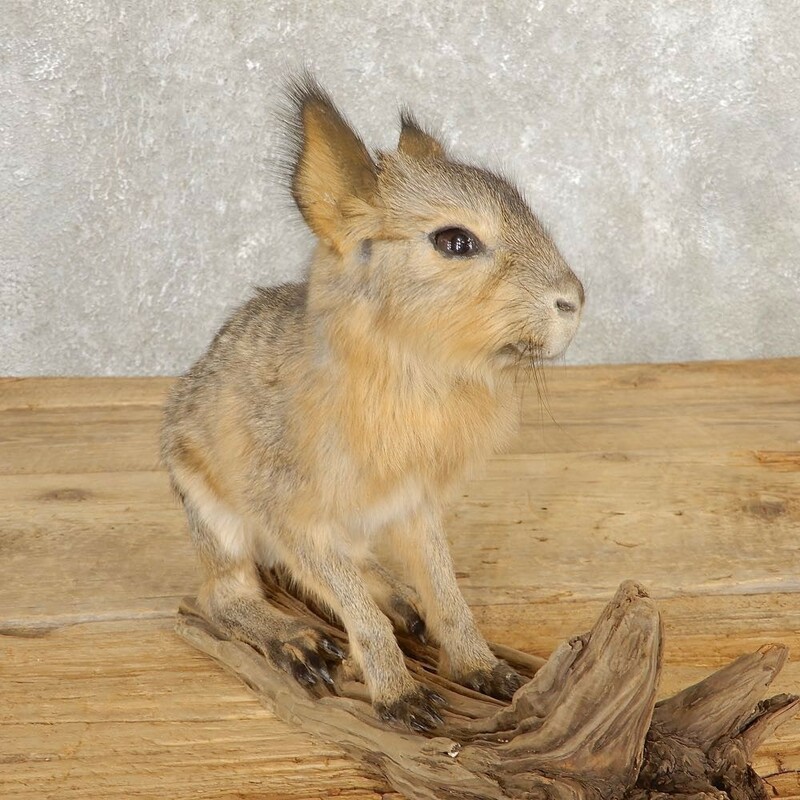 The Patagonian Cavy or mara is found in the shrub-covered plains of Argentina. 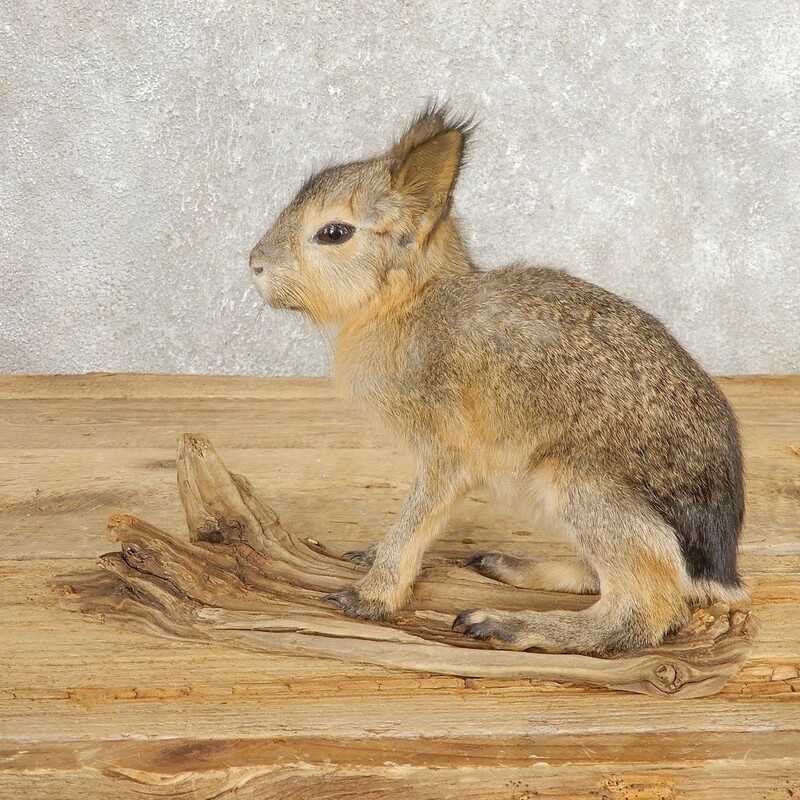 This animal is very similar to an American Jack Rabbit with its long legs and perky ears. 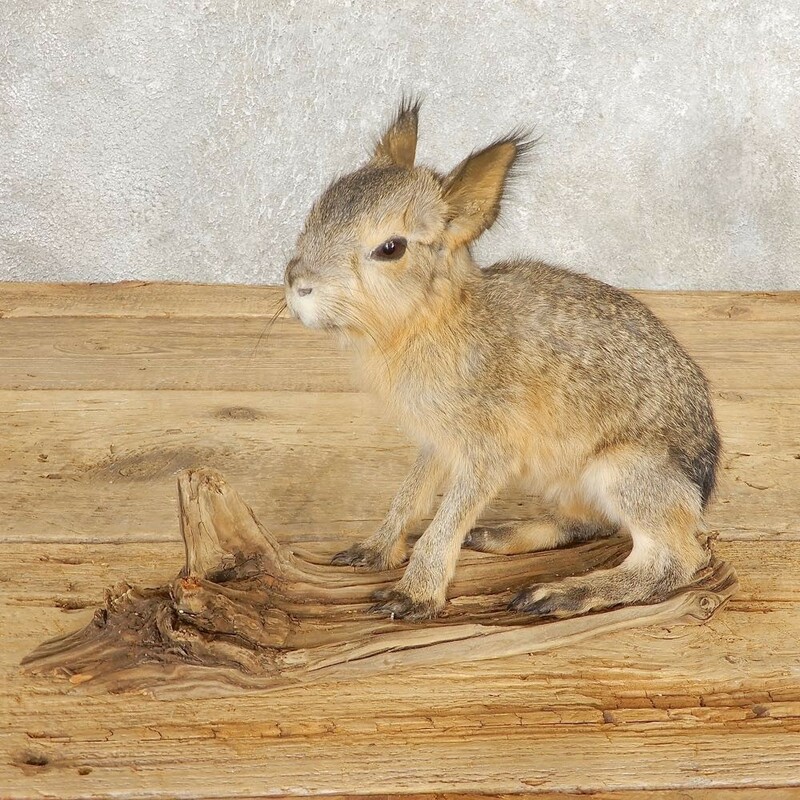 This animals can weigh anywhere from 18-35 lbs and will stand 27-30in. The Mara feeds primarily on monocots(grasses).